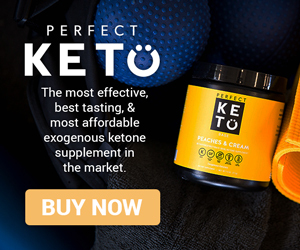 Most flavors of ENLIGHTENED Ice Cream can easily fit into a keto diet, especially with the lowest carb flavors containing 3g-5g net carbs per 1/2 cup serving. It’s best to be careful about calculating your daily macros if you plan to indulge in ENLIGHTENED and eat more than a serving. 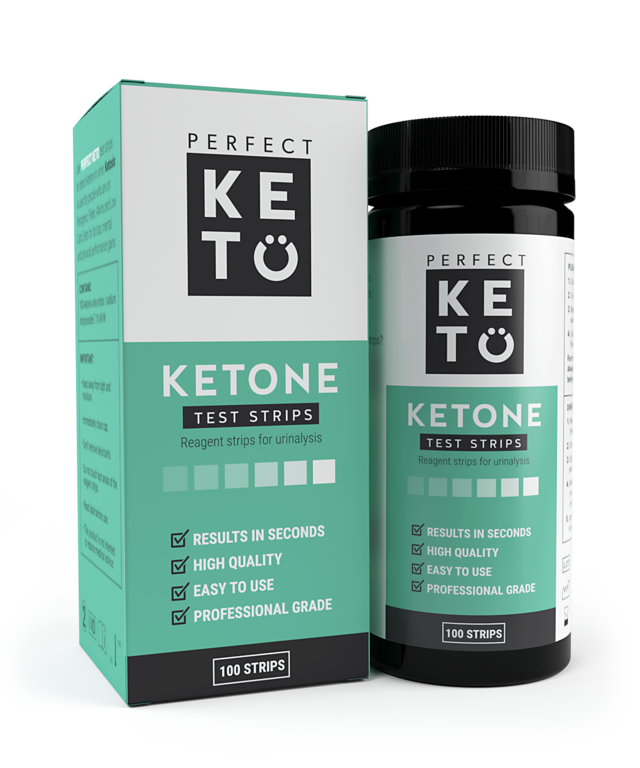 All the keto ice creams available on the market are primarily designed to be low in calorie rather than keto-friendly, so they tend to be low in fat. 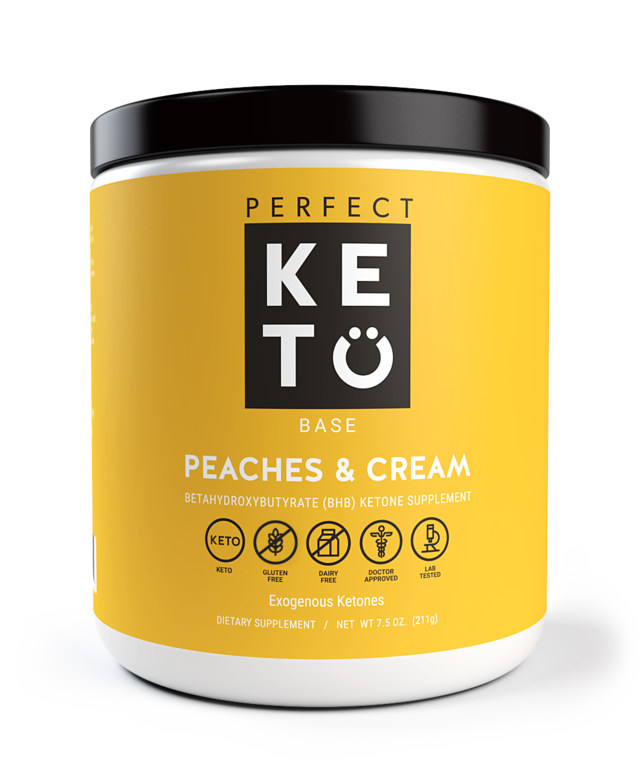 If you’re seeking a low carb, high fat keto ice cream, your best bet is to make your own. What Is the Lowest Carb ENLIGHTENED Ice Cream Flavor? With 3g net carbs per 1/2 cup serving (and only 12g net carbs for the whole pint), Chocolate Peanut Butter is the lowest carb flavor of ENLIGHTENED Ice Cream. None of the other flavors are quite as low, but a few come close. A kind user on reddit ranked the ENLIGHTENED Ice Cream flavors by net carbs to help out fellow keto dieters. You can compare the following chart to my ranking of Halo Top flavors by net carbs. ENLIGHTENED’s Chocolate Peanut Butter is only half the net carbs of the lowest carb flavors of Halo Top. The flavors with 4g and 5g net carbs per serving are also lower in carb than any flavor of Halo Top. 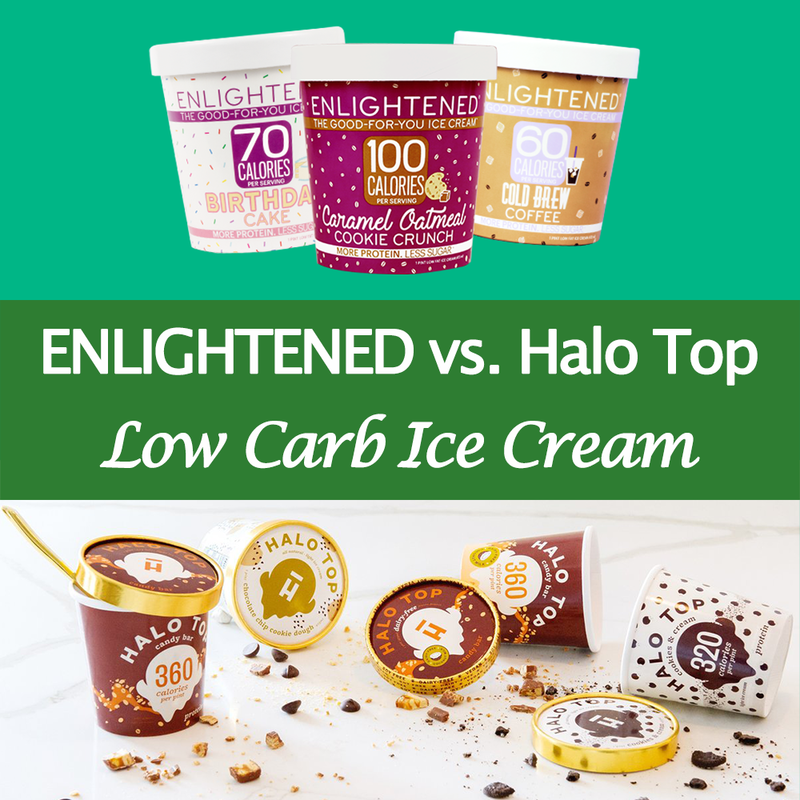 However, the flavors of ENLIGHTENED with 6g-9g net carbs per serving are comparable to Halo Top. Aside from the carb count, some keto ice cream eaters prefer the flavor and texture of ENLIGHTENED to Halo Top. 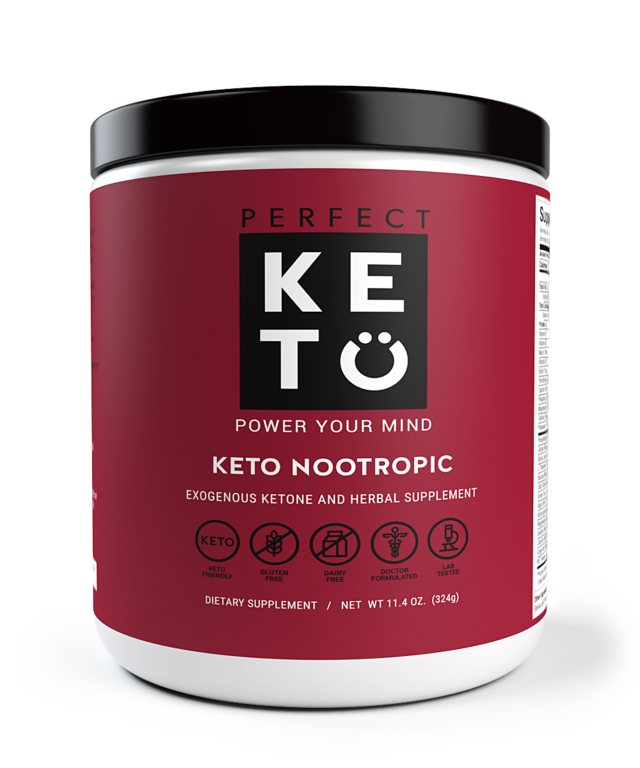 If you read the r/keto reddit thread on ENLIGHTENED referenced above, you’ll see that some users say ENLIGHTENED tastes more like traditional ice cream. However, other users do prefer Halo Top overall or at least prefer certain flavors. The best way to find out for yourself how these two low carb ice creams compare in terms of flavor is to try them out for yourself. Just make sure you’ve accounted for them in your daily macros. Another benefit of ENLIGHTENED is that the company makes convenient ice cream bars, whereas Halo Top does not. Both Halo Top and ENLIGHTENED recommend that you let your pint thaw a bit before enjoying it so the low carb ice cream will become creamier. Personally, I don’t like to let my pints thaw because I enjoy frozen textures (I love chewing ice cubes). Plus, the softer the ice cream gets, the faster I eat it, and the more I risk consuming too many carbs. However, I should note that ENLIGHTENED’s Chocolate Peanut Butter (the only flavor I’ve tried as of 4/22/17), is very, very frozen. I find it to be way more solid than any Halo Top. Like, you may end up bending your spoon if you try to eat it right out of the freezer, but seriously, I don’t let this stop me from doing it anyway. ENLIGHTENED Ice Cream isn’t available in quite as many stores as Halo Top (which is even in convenience stores and drug stores). However, I’ve found it at mainstream stores including Whole Foods and Target. If you can’t find ENLIGHTENED at a local store, you can order it on Amazon. 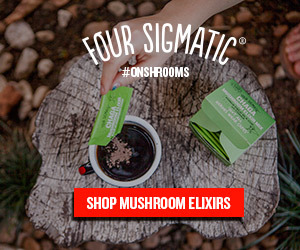 IceCreamSource.com also lets you buy ENLIGHTENED low carb ice cream online. What’s your favorite flavor of ENLIGHTENED Ice Cream? Do you prefer it to Halo Top? Share your thoughts in the comments! ENLIGHTENED is my favorite. I think they have a better flavor and texture. I still haven’t tried any flavors other than the Chocolate Peanut Butter, but I find the chocolate ice cream in it is definitely way better than Halo Top’s chocolate (and lower carb, plus you get tasty peanut butter). Which flavors do you like best? I’m thinking about trying more.